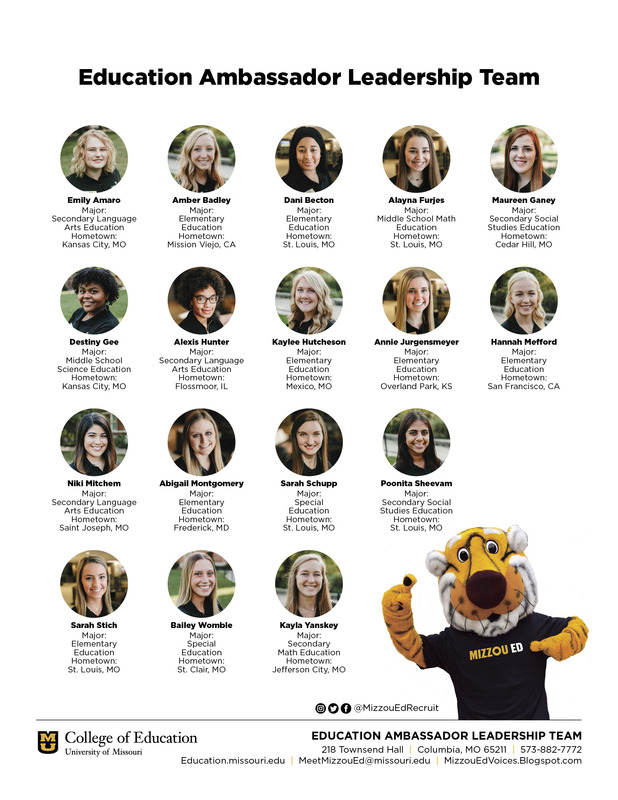 The mission of the College of Education Ambassadors Leadership Team is to represent and promote the University of Missouri and the College of Education to current and potential students, alumni, faculty, staff, and the broader education community through coordinated recruitment and service activities. Ambassador Applications are reviewed each semester. If interested in serving as an Ambassador, please fill out and submit the application.